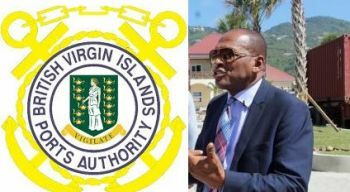 ROAD TOWN, Tortola, VI- It was in 2016 that the former Managing Director of the BVI Ports Authority (BVIPA) Mr Claude O. Skelton-Cline was denied a contract renewal by the Cabinet of Premier and Minister of Finance Dr The Honourable D. Orlando Smith (AL) as the Ports top man. He had a two year contract as Managing Director from December 2013- December 2015, and it was former Governor, John S. Duncan OBE who announced Cabinet had made a decision not to renew. Many have argued that the new Tortola Pier Park project, which was built under the guidance of Skelton-Cline, was one of the major contributors to the re-election of the National Democratic Party (NDP) in 2015. The Ports Board in 2015 had recommended a contract renewal for Mr Skelton-Cline; however, it was reported that he was told by Communications and Works Minister, Hon Mark H. Vanterpool (R4) that he should wait until after the June 8, 2015 snap election for Cabinet to act. 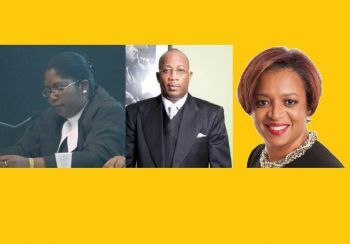 The government and Skelton-Cline were back and forth in court from 2016 after the Pastor, former government consultant and NDP 2011 Second District candidate sued the Smith Administration over Cabinet not keeping its word as told to him by Hon Vanterpool, in other words, over legitimate expectation. On Monday May 7, 2018, before High Court Judge Vicki A. Ellis both side rested the case and now await a judgment, which is expected in about three months. Mr Skelton-Cline’s attorney Tana’ania Small-Davis, from the law firm of Farara Kerins, argued legitimate expectation and natural justice for her client over his contract not being renewed. Mr Skelton-Cline had already won a Judicial Review in 2016 allowing for the case to go forward, because the court found enough evidence that the decision not to renew Mr Skelton-Cline's contract should be reviewed. Judge Ellis and Small-Davis both agreed on Monday that this case will set new case law, as it was difficult to find another case like this, particularly with the line of arguments. If Ms Ellis rules in Mr Skelton-Cline's favour then compensation and remedy will have to be determined, however, both sides, Government and Skelton-Cline, have two more outlets of appeal. Those are The Eastern Caribbean Supreme Court of Appeal and the final Judicial Committee of the Privy Council in London, in the United Kingdom. Exactly. Too much money being squandered in this Territory. If any government property is used to build private home then up on the hill should be considered. @ 123: speaking about that 40 M overrun(I say embezzlement)...could you inform the people of this territory who was in charge of ports: there are really more questions than answers or so many questions that go unanswered!!! !